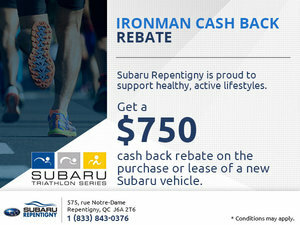 The special offers from Subaru Repentigny are designed to help you save wherever you can. Whether you’re in the market for a new vehicle or for one of our several pre-owned vehicles, our special offers will help you get the most value you can. That’s not all. 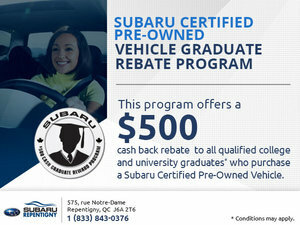 The special offers from Subaru Repentigny are designed to help you save at our after-sales departments as well. 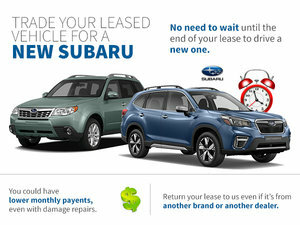 When you’re in the market for a new vehicle like the all-new Subaru Impreza, see how our special offers can maximize your investment. Regardless of whether you’re looking for a new vehicle or one of our many pre-owned vehicles, our special offers, promotions, rebates and offers are here for you and are sure to impress. That’s not all. Our special offers provide more bang for your buck of our after-sales services such as maintenance, and parts and accessories as well. When you bring your vehicle in for detailing or any other service, you can save as well. 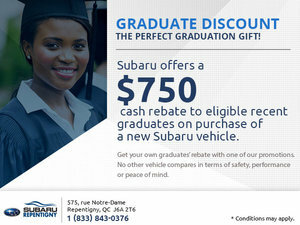 Come see the team at Subaru Repentigny today and see how our special offers can help you save.